I am making a Spanish tapas dinner for this Sunday. Jan picked this tapas out of one of my cookbooks. Although I did not follow the recipe, it had some techniques for the fillings that I found interesting. 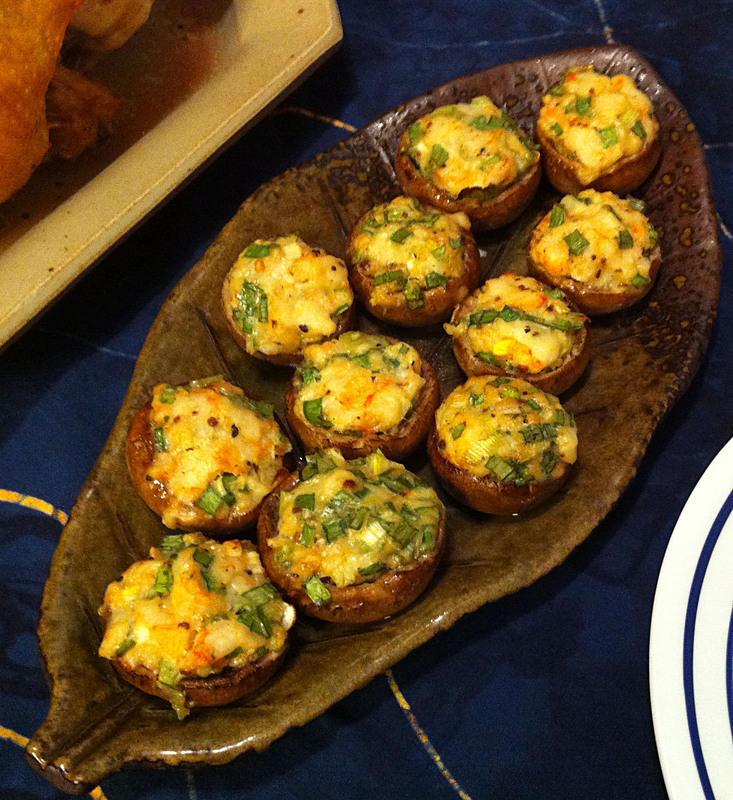 This is a bit off theme of my Macanese Sunday dinner, but I just wanted some stuffed mushrooms this week. Use bay scallops for this recipe—which are significantly less expensive than sea scallops. A salad, which was my original plan, did not quite an appropriate side dish to such an Asian meal. Eilene had planned to go to a party. I decided on a mushroom dish, which she would never eat.